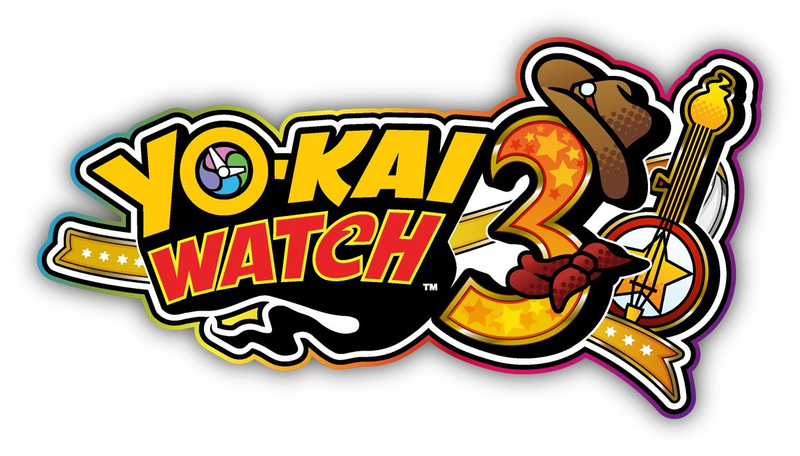 Nintendo has revealed that Yo-kai Watch 3 is headed to both Europe and North America on Nintendo 3DS; Europeans will get their hands on the game "this winter", while a North American release date of 8th February has been confirmed. Yo-kai Watch 3 was originally released in Japan back in 2016 with two separate versions, Sushi and Tempura. The games feature two main characters - Nate and Hailey - who are actually playable at the same time; the first half of the game sees Nate move house to the fictional town of St. Peanutsburg, where new American-themed Yo-kai can be found, while the other half focuses on Hailey and her partner Yo-kai Usapyon, who run a detective agency together. Specific details for the upcoming western version of the game are very thin on the ground at the moment; the news comes directly from Nintendo's official Twitter accounts, with "lots of new locales, characters and an all-new battle system" promised. Today also marks the release of the free Moon Rabbit Crew update for Yo-Kai Watch Blasters: Red Cat Corps & White Dog Squad. This new content includes more missions, areas to explore, and Big Bosses to befriend, and players will also be able to link their save data between the two games to get special in-game bonuses. A new trailer for this new addition has just been released, so we'll leave that for you to watch below. Are you ready for a brand new Yo-kai adventure? Feel free to share your excitement with us down below. Is this going to be Sukiyaki? Because they didn't say there will be different versions. @quinnyboy58 @Mando44646 Well, considering this came out in Japan almost a year before the release of the Switch, I think it's pretty obvious what it will be for. About time! Time for me to beat the first game and move onto two! Was hesitant not knowing if the series would continue here. I'm excited for this only because it paves the way for Yo-Kai Watch 4's localization, which looks like it will be the far superior game! Was wondering if this would come over. Not sure how well it will sell though. Well that is one way to keep a library going. @Zeta 1 was fun enough in my opinion, but 2 is just awesome! I really hope 3 will be just as good. Welp time to preorder if it’s available. I love this series. Hey, does this mean we might actually get 4 within a year of it's Japanese release? Would be a nice change of pace. Hells yes! These are great games. Even the recent spinoff Blasters is highly recommended. @Krisi I'm probably close to beating the first game, but I'm too much of a completionist. I want to beat every quest and befriend every Yokai. First of all a Switch version of the game never existed. This released in japan a nearly a year before Switch was released and before it was fully announced. A Localization isn’t going to make a Switch version for the west only. Second. Google exists. For such a basic question seriously man just google it. @Zeta Yeah, me too. I actually did complete the first one (it took around 110 hours if I remember correctly), and I beat 2, and I'm still playing it, but I don't know if I'll get everything in this one, you have to do some extreme things in this one supposedly to complete it, plus trade and stuff. Scratch that, you actually can't complete the third version of 2 (Psychic Specters), because there is a glitch that doesn't let you collect any songs for the sound test beyond the first few, and it hasn't been patched to this day, which is pretty sad. YOKAI WATCH 3 USA version !!!! Awsome! My 7 year old son will be so happy about this!! I am so hyped. I have brought yokai plushies from yokai watch 3 so i could be ready. I am ready for it! Definitely pre-ordering. My neice and I have watch the tv show and we have watch Abdallah videos[mainly she have]. We buy the plushies, toys, etc. My only question is are we getting sushi and tempura with sukiyaki coming later or as update? Or is this releasing with all versions in one. @quinnyboy58 Why would a 2016 game be on the Switch? Now we have one question about Yokai Watch 3 USA / PAL version. On Japan version, Nate's Dad suddenly can talk English after he was controlled by a Lion Yokai, so how about the localised version will be ? Will Nate's Dad suddenly can talk in Japanese / Spanish / other language on USA & PAL version ? I'm having a lot of fun with 2 (psychic spectre.) The music and atmosphere are amazing, there's a lot of fun little side quests. And the story actually keeps my attention. 3 sounds like a definite buy for me! Dang, didn't expect this so soon. I haven't even played Psychic Spectures yet. Very excited though. Definitely getting this at launch though. Too little too late for me, the Switch has totally taken over. Sadly I never even touched Psychic Specters due the timing of when I got my Switch. @Seacliff lol as if games from way before 2016 haven't been released on switch! Took them long enough, but this guarantees that YW4 will be coming out in the west, maybe even as soon as late 2019, and I've heard good things about YW3, so it ~might~ boost the series' popularity at least a little bit. @quinnyboy58 Those are called ports. Time to crack on with 2. Been holding off waiting to see if we’d get 3. Looking forward to this and then part 4 on Switch without a localisation delay measured in years hopefully. Awesome! This will be my Feb on the GO game! OMG, FINALLY. A big part of me was expecting this not to happen with all the talk of Yo-Kai Watch 4 on the Switch, so glad it's finally happening! Well, I guess my 3ds will get sole love this Christmas after all. Wooo! More games that are going to bomb in sales! Look this isn't 2016, the system and this series aren't as popular as they once were (especially in Japan), so this is going to be yet more games that tank in sales, just like Wario Ware did (that didn't even crack the top 20 in any Western region!). Brilliant news! So many good games on the horizon. W00t! I'm glad this series is continuing in the West! I've played and enjoyed the first game, but I still need to get around to my copy of Fleshy Souls. @pika677 Why do you care about how many copies a game sells? If a game only sells 1 copy and makes that person happy then it is a success in my book. Really psyched to hear that! They've done some really good RPGs/monster capture games. I honestly thought it would end up like their other game, Inazuma Eleven 2, and not see a US release. I just really hope they do well given that (I think but can't remember) Yo-Kai Watch 2 didn't do so great in sales in the west and because it's going to the 3DS which has admittedly been loosing parts of it's playerbase/interest because of people moving over to the Switch. My son will be so excited! Now I can say I'll not buy any more retail games for 3DS. I was waiting for this little guy for so long and now its really coming. Let's hope for a faster localization of YW4 'cause damn, that was a long run. OMG!!! YW3 is Officially Coming to North America!